Hank Palmer (Robert Downey Jr.) is a high stakes defense attorney known for doing whatever it takes to get his clients out of trouble. Successful in the courtroom, his personal life is falling apart and divorce will soon end his marriage. Though estranged from his family for twenty years, he drops everything to return home when he hears of his mother’s death. Joseph Palmer (Robert Duvall) is a highly moral judge and Hank’s father. Many in his small Indiana county only know him as The Judge and dislike him after standing before him in court over the years, and this includes his son Hank. A tough love upbringing was the major cause of the rift between father and son, and it has not healed in the years since Hank left. All of this is set aside when a parolee who spent 20 years in prison on a conviction by the Judge is found dead on the side of the road one night. When blood and damage is discovered on the Judge’s car, he becomes the prime suspect and the question stands: was it murder or was it an accident? Joseph turns to a local attorney, C.P. Kennedy (Dax Shepard), to defend him instead of his star defense attorney son. When the state brings in star prosecutor Dwight Dickham (Billy Bob Thornton) to try the case, C.P. falls apart, and the Judge has no other choice but to hire Hank as his attorney. Throughout the weeks the case lasts, Hank and the Judge confront their issues, and Hank learns the Judge has terminal cancer. Hank runs into former love Samantha (Vera Farmiga), and also runs into her daughter Carla (Leighton Meester) who he suspects is his. Hank faces resentment and abandonment issues from brothers Glen (Vincent D’Onofrio) and Dale (Jeremy Strong). All of this happens while Hank starts to question his own career and his relationship with his family and hometown. It’s too much to confront in one movie. 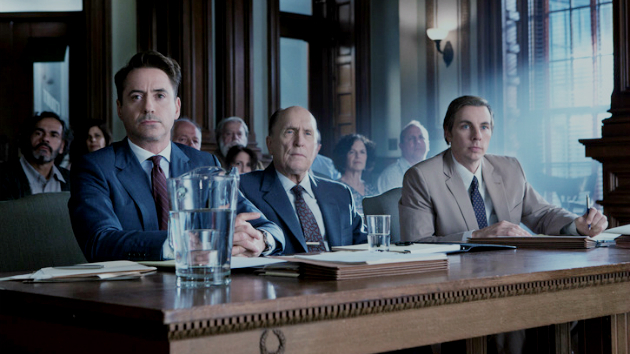 The Judge never feels satisfying as a courtroom drama or a family drama. Some storylines, like the one with possible daughter Carla, seem to not ever really have a conclusion. In spite of hurting his brother Glen in a way that prevented him from having an MLB career, Hank never has a conversation to clear the air on a decades long issue between the two. Considering this is D’Onofrio and Downey, Jr. you want to see that. Both can be great actors, but with so much going on with the script, it could not be crammed in. Instead we get a hug between the two – hey we’re not going to talk about it, let’s just hug it out. The acting is decent but even that seems hurried by so much going on in the movie. No one really has time to develop a character. There are glimmers of great moments between Duvall and Downey, Jr. but you seem to arrive in the middle of the conversation when it’s already gone to intense. This just comes off as playing on emotions rather than developing a real and meaningful storyline. 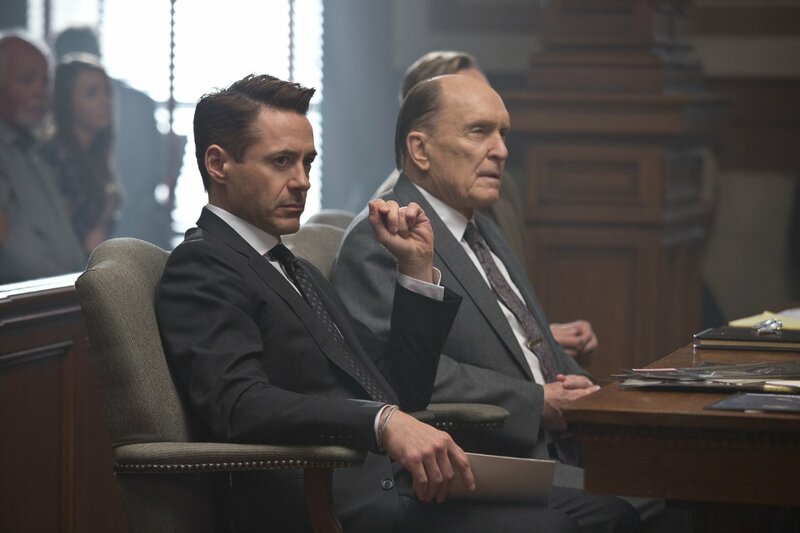 In all, and I hate to say this for a movie with these two actors in it, The Judge is almost like a better written bro version of a Nicholas Sparks story. There is a long, difficult relationship. Someone has cancer. They makeup just in time for someone to die. Many I’m sure will have their hearts warmed by this movie, but it is only feel good, not challenging, and I’m giving two and a half stars. This entry was posted on Friday, October 10th, 2014 at 12:27 pm	and is filed under Film, News. You can follow any responses to this entry through the RSS 2.0 feed. You can skip to the end and leave a response. Pinging is currently not allowed. « Trailer From Will Smith’s ‘Focus’ Has Just Been Dropped!! !